I love having a positive impact on children’s lives. I enjoy watching them grow day by day throughout the year. I have my Associate Teacher Certificate in Early Childhood Education, my Early Childhood Development Credential, and I am CPR & First Aid Certified. I’m working towards my BS in child development. I’ve been caring for and teaching children since 2010. I grew up in the San Fernando Valley and went to Halsey Schools when I was younger. My mother is Ms. Jennifer, the director of Halsey Schools. She is a huge influence on why I am a teacher too. I like to go hiking with my friends, when the weather is right. I also enjoy taking pictures of nature. If I feel like relaxing, I’ll usually just watch some Netflix or Hulu. 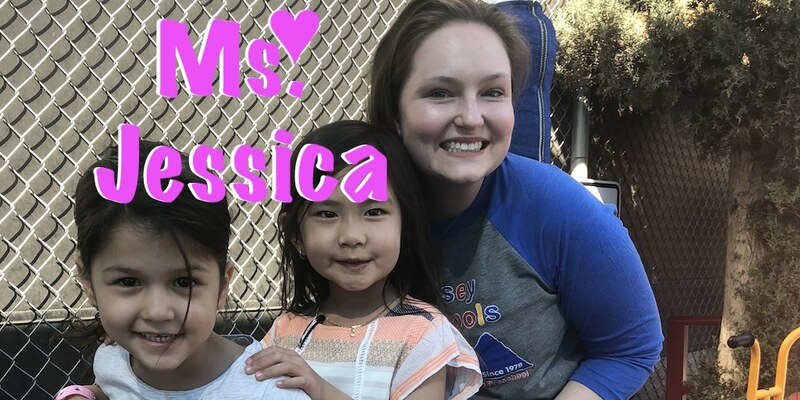 Ms. Jessica is a roving teacher and substitute. You’ll find her in all our classrooms. Her anniversary date is April 9, 2018.